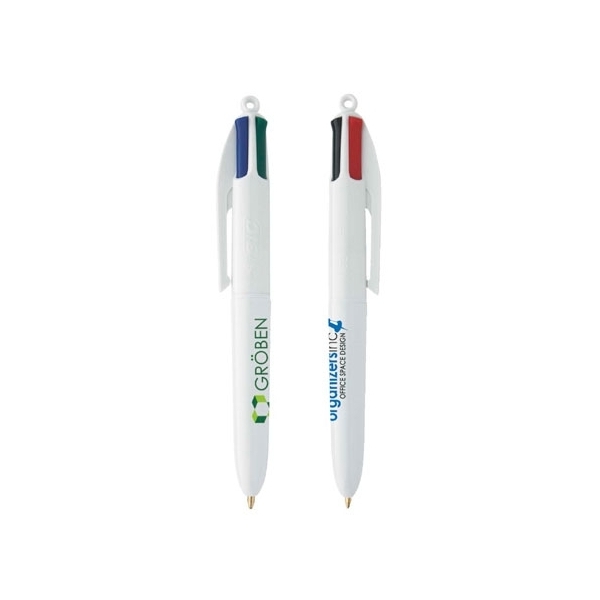 Some of the best promotional messages come in small packages! 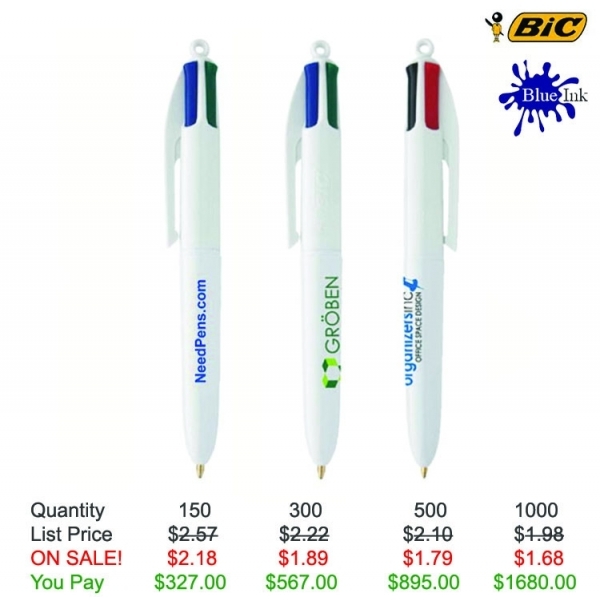 Our BIC (R) 4-Color (TM) mini pen features four ink colors in one: blue, red, green and black. 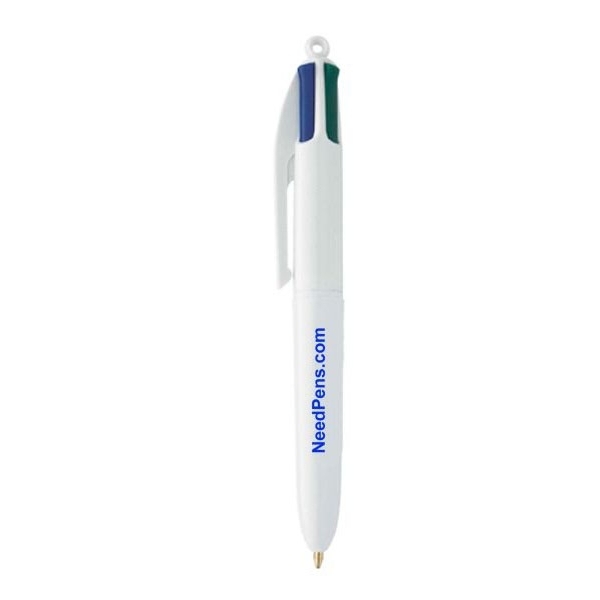 The multifunctional design of this medium ink pen will attract the right eyes at any event or venue including retail stores, corporate openings, employee banquets and more. 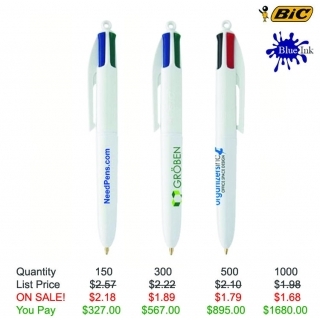 Your silkscreened company logo on the bright white background will spread your "big" message everywhere this little pen goes! Shipping Weight: 7 lbs. per 250 - FREE Shipping!